The audio tours of spell#7 – the husband-wife duo of Kaylene Tan and Paul Rae – promise a variety of small adventures. 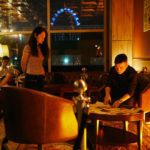 In their previous work, they’ve invited us to move through several spaces in Singapore, peeling back layers of stories and eavesdropping on conversations as the tours unspooled across the collective’s former turf in Little India, a rotation of the Singapore Flyer, the many rooms of the NUS Baba House, and various stops along the MRT’s North-East Line. 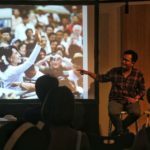 When the performance collective departed Singapore for Melbourne in 2014, they promised returns and collaborations. 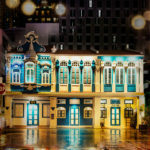 This commission for the Esplanade’s Studios season, written and directed by Tan, invites us back into the theatre – and this time, to stay still. 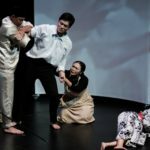 In the Silence of Your Heart draws from Tan’s childhood encounters with her late maternal grandfather, a Sarawak native who was a politician, writer, and all-round charmer left bedridden from a stroke. The work is fiction, but you can sense the undertow of a rich family history. The in-ear audio experience begins at the door, and the audience is given a set of wireless headphones as they make their way into the theatre studio and are seated on benches and low stools around the main playing area. Set designer Ling Hao and lighting designer Lim Woan Wen have prepared a series of domestic installations, light pooling around them: the kitchen counter, the dining table, the tub of water in the bathroom over which the characters squat to wash their faces and do the dishes. Performer Lim Kay Tong doesn’t make an appearance, but his voice takes up residence inside our heads – courtesy of the binaural headsets – as the erudite Thian, who’s narrating a letter to his daughter about the town market he’s working on when a stab of industrial static indicates that something quite terrible has happened. He’s had a stroke, and he has to make sense of this new, oppressive helplessness as he remains trapped in his body. 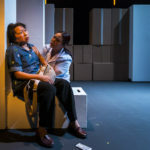 The production overlays Thian’s absence with our presence; we take his place in the house and, through his inner monologue, are introduced to his wife and caregiver (Jalyn Han), who moves through and around us as she goes about the routines of daily life in an idyllic suburb in Kuching. 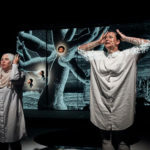 The production’s striking sound design attempts to superimpose what we hear of Thian’s world over the austerity of what we see: the tinny whir of the ceiling fan, the whine of crickets and the distant hum of small-town traffic. It isn’t all sonic poetry; as Thian, we’re privy to the humiliations of a broken body when he shits, pees, farts and vomits, and the sound of these explicit bodily functions vibrates through our own bodies. “The motion has passed, your honour!” he puns with glee, trying to soften the ignominy. In the Silence of Your Heart revels in its long stretches of stasis, and scenes of domestic ritual are interrupted by bursts of expository storytelling that shade out Thian’s backstory, and the joys and griefs in his life. Tan tries her best to capture the impressionistic chaos of a man’s recollections as he sifts through memories and moments that blend the present and the past. Sometimes these distinctions are clear, often they deliberately aren’t. Halfway through, we encounter a new character who exists in this overlap between imagination and reality, an elfin young woman (Tan Hui Er) who may be Thian’s daughter, his granddaughter, or a trick of the light. Both women have non-speaking roles, and their actions are both associative and tangential to Thian’s storytelling. Thian’s narration shifts between long, talky sequences – where he hints at his past life as a politician and discusses a family tragedy – and choppy sentence fragments that strive to convey the physical and mental immobility that comes with recovering from a stroke: “This side mouth / mouth opens / no sound out”. There’s poetry in both. It’s clear that Tan has paid particular attention to the musicality of Thian’s words, and Lim delivers them beautifully. 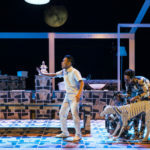 But the production often feels too preoccupied with the prettiness of its text, allowing Thian to ramble on while contributing little more to what we already know of his personality and his history. I understand Tan’s desire for stillness, and how she plays with the position of her “captive” audience as they experience Thian’s vulnerability and utter dependence on his caregiver. But while this imposed captivity could have meant a deeper connection with Thian’s rich inner life, his repeated visits to the memories he most cherishes and regrets don’t reveal much beyond what the initial bouts of exposition have already introduced, and the dramatic trajectory of the piece sags. Thian’s political inclinations feel like an abrupt addition to the work, and it’s the only time the otherwise atmospheric sound design comes off as inorganic. 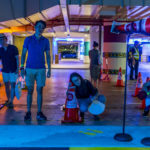 While Tan’s previous site-specific audio tours have allowed her to work with atmospheric environments and unexpected settings, her challenge here is to create an intricate world in the blank, angular confines of the black box. The results are mixed. 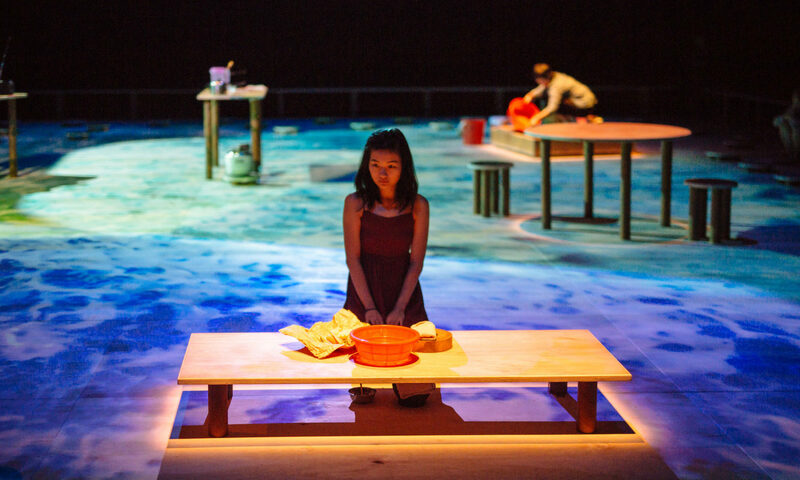 Tan and her creative team, particularly sound designer Chris Wenn, play a great deal with the textures of interiority and exteriority, layering external sound on the theatre’s speakers with internal sound on our headsets. The smell of food cooking for breakfast, lunch and dinner provides a lovely olfactory dimension to the piece, whether it’s a whiff of garlic or strong coffee, but as much as the piece presents itself as a sensory experience, there’s never the sense of complete immersion. Even though it checks three senses off the list (sight, sound, smell), we-as-Thian are always outside, looking in. 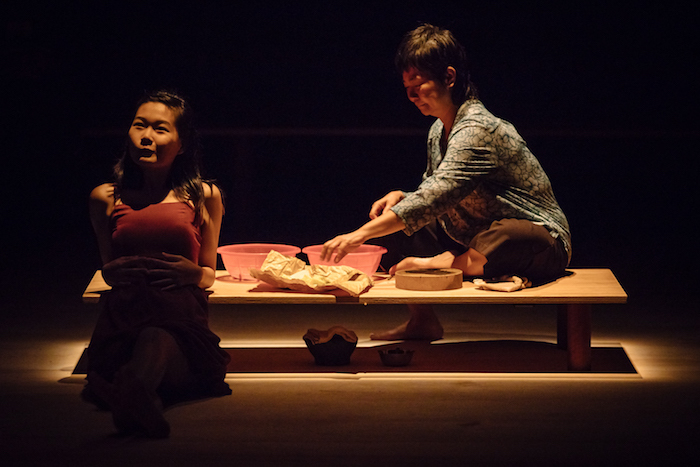 There’s the intimacy of Thian speaking directly into our ears, and performers Jalyn Han and Tan Hui Er make formal overtures to individual members of the audience, whether it’s placing a waste bucket or a bowl of watery gruel in front of someone, or offering up a wet towel for the involuntary drooling – but they never invite us beyond the threshold. To what extent can we as audience members ever take the place of a character faced with physical and mental debilitation of some kind? Theatre company Pangdemonium attempted this recently with a slick production of Florian Zeller’s award-winning play The Father, which cleverly situates the audience as a proxy for the main character’s experiences of dementia, with circular, repetitive scenes that mirror his frustration at the gaps in his memory. In the Silence of Your Heart feels like The Father’s introspective cousin, sans strobe lights and abrasive electronic music. And it’s the quiet, meditative spirit of In the Silence of Your Heart that I appreciate, despite its uneven pacing. The piece demands that the audience sit with its frustrations and desire for constant stimulation just as its dynamic protagonist does, and then, as Thian turns inward, allows us to drift through worlds within worlds of memories within memories. It suggests that the world within may be larger than the world beyond. 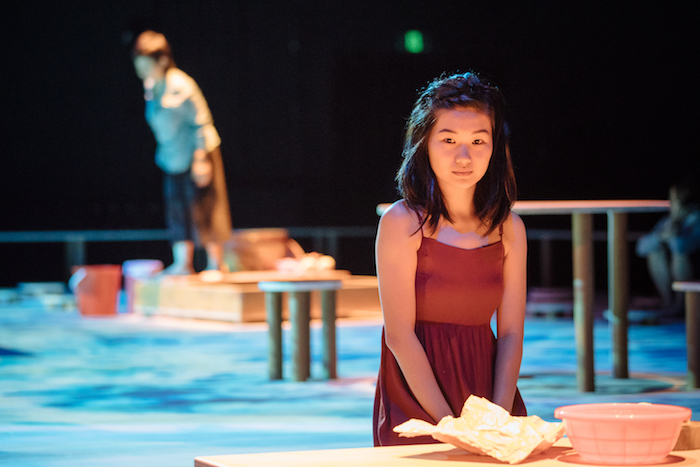 In the Silence of Your Heart runs from 5 to 8 April 2018 at Esplanade – Theatres on the Bay as part of The Studios.